Awami Villas and Awami Villas Apartments in Bahria Town Rawalpindi are specially launched to cater housing solutions to lower income class. The housing units are based on pre-fabricated technology imported from Malaysia for building low-cost houses. This same technology has been used and successfully implemented in Australia, South America, South Africa and the Middle East. Every unit is of 5 Marla size having 2 bedrooms, 1 bathroom, sitting room, kitchen and a small lawn. The total covered area is 725 Sq ft. These Apartments are double storey buildings. Generally, there are two types. The best quality apartment is called Premier and the other one is labeled as General due to its average quality. Every unit is of 5 Marla size having 2 bedrooms, 1 bathroom, sitting room, and a kitchen. 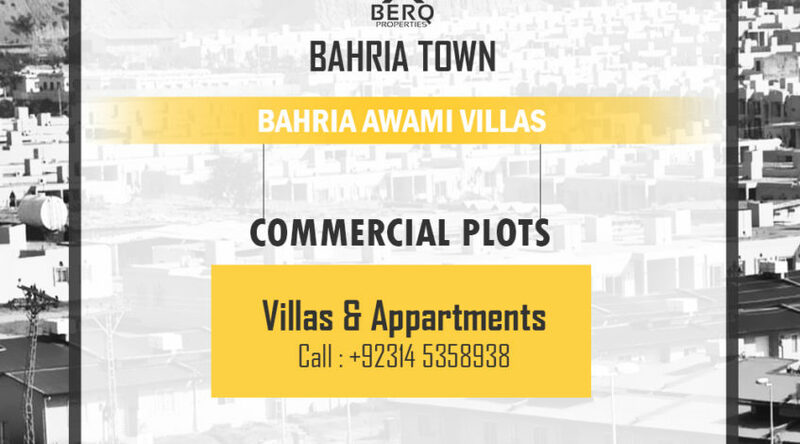 The total covered area is 795 Sq ft.
Awami Villas are located at 5 minutes drive from GT Road Rawalpindi at a strategic location on the 210 ft wide Bahria Expressway.